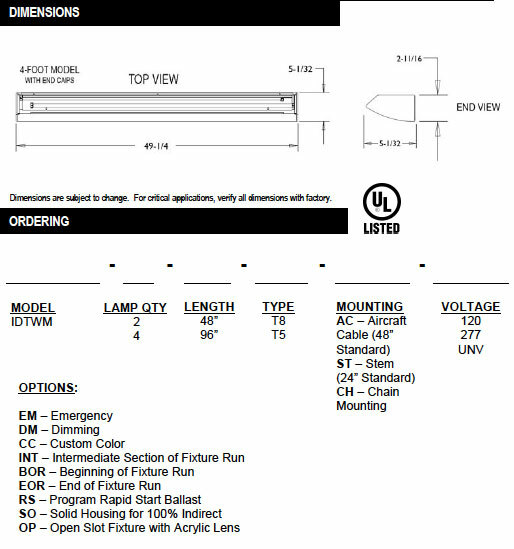 The IDTWM Wall Mount unit is available in nominal 4’, and 8’ lengths to accommodate 2 lamp T5 or T5- HO lamps. 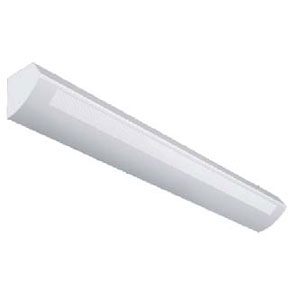 The versatile design of this fixture makes it ideal for commercial and educational settings. The roll-formed housing is standard with the perforated housing for 80% indirect and 20% direct. Optional with open slot for opal acrylic lens for 60% indirect and 40% direct and solid housing for 100% indirect illumination. For continuous row applications, row lengths must be specified. Matching ceiling mount fixture available. Housing constructed of heavy gauge steel. All parts are finished with white polyester powder coat, smooth finish. Custom colors and textures are available.